﻿ Hyatt Place Chicago Schaumburg, Chicago (IL) | FROM $93 - SAVE ON AGODA! 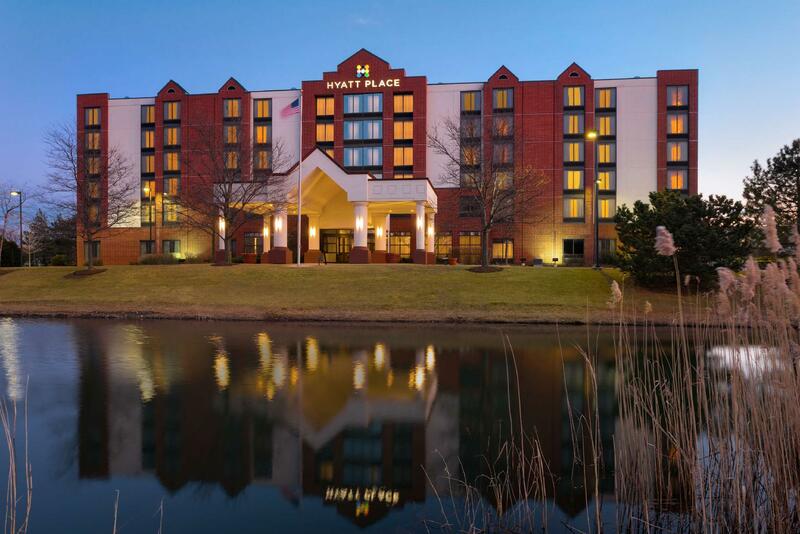 Have a question for Hyatt Place Chicago Schaumburg? Featuring several on-site dining options and a fitness centre, this Schaumburg, Illinois hotel is adjacent to shopping at Woodfield Mall. Free Wi-Fi access is available. A 42-inch flat-screen cable TV and a seating area are provided in every room at Hyatt Place Chicago Schaumburg. For convenience, a fridge and coffee machine are also included. Private bathrooms also come with a hairdryer. A daily hot breakfast is served at this property, including breakfast sandwiches, waffles, fresh fruit, and more. The 24/7 Gallery Menu offers light meal options, and there is also an on-site coffee and cocktail bar. A 24-hour front desk is offered at Chicago Schaumburg Hyatt Place. Other facilities offered include meeting facilities, dry cleaning and a laundry. The property offers free parking. O'Hare Airport is 14 km away. Central Chicago can be reached in 40 minutes’ drive. You must show a valid photo ID and credit card upon check-in. Please note that all special requests cannot be guaranteed and are subject to availability upon check-in. Additional charges may apply. Please be advised the hotel pool will be closed from April 27 until May 5, 2017. Contact hotel for details. Guests are required to show a photo identification and credit card upon check-in. Please note that all Special Requests are subject to availability and additional charges may apply.